One pack of of 50 BCW Deluxe Currency Holders for large sized US currency. 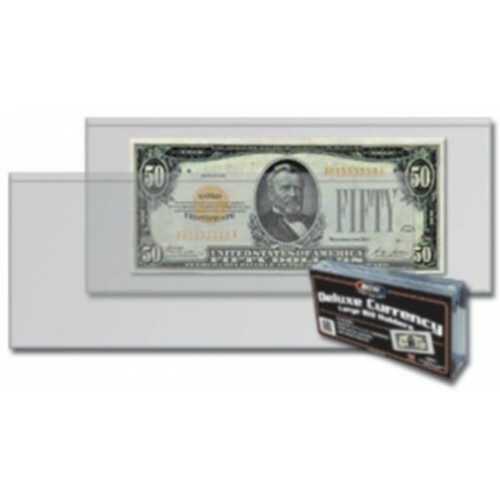 The BCW deluxe currency holder is made from high clarity Double polished clear vinyl and is Designed to store large bills and older US currency. Do you have any questions about Pack of 50 BCW Deluxe Currency Holders - Large Bill Size?